If you were to ask 10 hunters to tell you the best time to hunt for deer, you might get 10 different answers. Most hunters have at least one theory on the best time to hunt, and they stick to that theory in spite of what conventional wisdom—and science!—might tell them. But the truth is that there are tons of myths about deer movement out there that simply aren’t true. 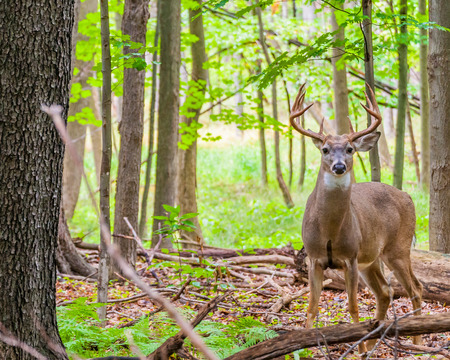 Let’s take a look at a few deer movement myths that have been busted in the past. High winds prevent deer from moving around. Many hunters hate the idea of hunting in high winds, and with good reason. Cold, windy conditions can make hunting seriously unpleasant. Furthermore, you may have also heard that it’s not worth hunting on windy days because deer tend to stay put when the wind picks up. But as it turns out, deer do move in the wind, and they actually seem to move more than usual. 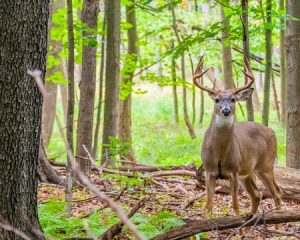 A study conducted at Penn State University demonstrated that, while deer movement dies down at night when it’s windy, it actually increases during the day when winds hit 10 miles per hour or above. The moon influences deer activity. Have you heard that deer are more active right before a full moon, or on the day of a full moon? Moon myths are fairly common within the hunting community, but another Penn State study found that the moon has no effect on deer movement. That probably won’t stop some people from buying into theories about the moon’s influence on deer populations, but there is currently no scientific evidence to support these theories. There is a predictable lull in deer movement in October. Some hunters have long believed that deer movement slows down during the month of October, but a number of GPS-collar studies have shown that this simply isn’t true. In fact, recent research has found that deer activity seems to increase, not decrease, throughout the month of October. Tracking the phases of the moon might not increase your chances of bagging a deer, but having the right hunting blind can. Browse our prefabricated deer blinds online, or give us a call today to learn more!